"Epoxy-Polyester" is a series of epoxy polyester hybrid powder coatings designed for interior use. Offering improved UV light and heat stability compared to pure epoxy powder coating. This series are available in the full range of colors with different gloss and texture. 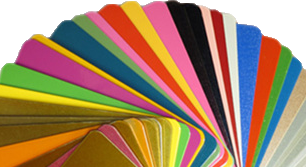 Colors and surface finishes can be custom matched to users' requirements.